Joey Barton is pleased that his Fleetwood Town side are finally turning Highbury into a fortress. Town had to wait until they beat Bradford City 2-1 at the start of September to pick up their first home win of the season. They have lost only one of their last eight League One games at Highbury – against Barnsley last month. Only two of their six league defeats from 18 games this season have been suffered at home, the other coming on the opening day against AFC Wimbledon. And after making it eight points from their last four games at home with a 0-0 draw against Walsall on Saturday, Barton is pleased that his side is proving so difficult to beat at home. 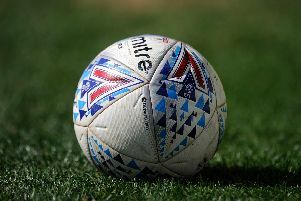 Saturday’s first home clean sheet on the season in League One followed the home wins over Shrewsbury and Blackpool, and Barton said: “We are slowly turning Highbury into the place were we do get results. “A big positive for me is certainly a clean sheet at home. It has been something that we want to get back to doing, knowing we have the firepower at the other end to go and win games. “We keep the back door relatively well closed. Cairnsy (keeper Alex Cairns) has not had much to do. “He had a few corners and goal-kicks but he has not really had a save to make. “On the flip-side of that, there was some great defending from them and really good saves from their lad (Liam Roberts) low down on Ross Wallace. “You fancy Ross on his left foot but credit to their keeper – he makes a good save then gets to the rebound before Paddy (Madden).